Tyson's tattoo on Helm's face. Mike Tyson's tattoo artist can't stop "Hangover II"
"The Hangover: Part II" premieres this week, despite an attempt at an injunction from the man who tattooed Mike Tyson's face in 2003. 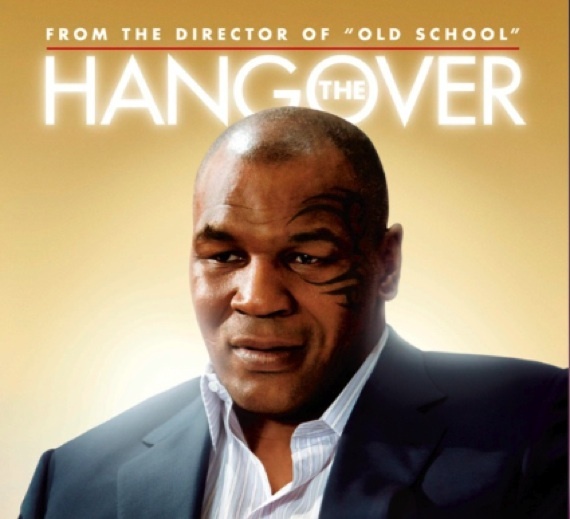 A federal judge ruled that S. Victor Whitmill could not stop Warner Bros. from releasing the film, despite the artist's claims that the movie infringed on his copyright of Tyson's facial tattoo. Warner Bros. claims the image falls under fair use. In the sequel, Ed Helms' character, Stu, wakes up before his wedding with a design that is clearly supposed to be taken from Tyson's own tat (the boxer appears in both "The Hangover" and its sequel). The judge ruled that although Whitmill may have a copyright case, he couldn't delay the film's release, which Warner Bros. has already paid $80 million to promote. U.S. District Court Judge Catherine D. Perry did agree that Whitmill had a strong case, however, but that the film's delay would hurt third parties such as movie theaters and distributors. "This case is not about Mike Tyson, Mike Tyson's likeness, or Mike Tyson's right to use or control his identity," reads the suit. "This case is about Warner Bros. appropriation of Mr. Whitmill's art and Warner Bros. unauthorized use of that art, separate and apart from Mr. Tyson." But if Tyson willingly agreed to be in the movie, and the tattoo on Helms' face is a reference to Tyson's character, then is it actually "separate and apart" from Tyson's image?